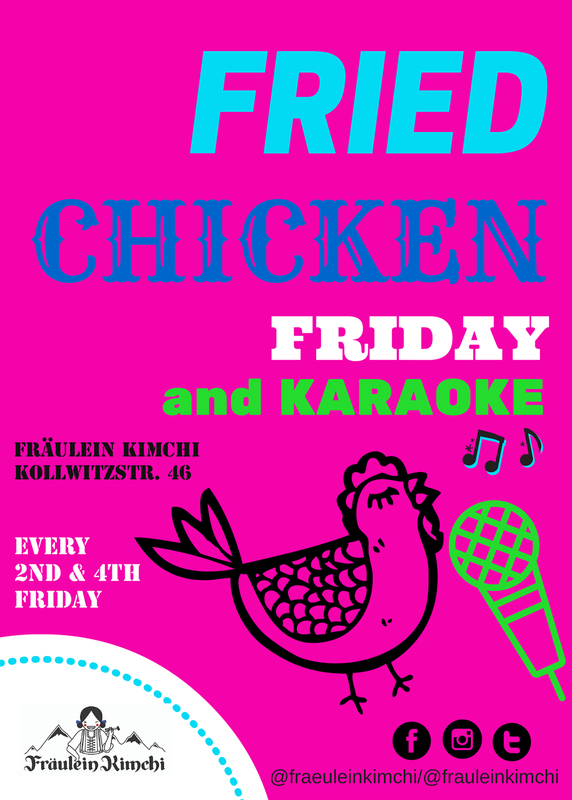 Fried Chicken Friday (& KARAOKE) this week! | Fräulein Kimchi kocht! Fried Chicken Friday (& KARAOKE) this week! it’s Friday the 13th! We’re hoping things get freaky on the mike. Karaoke starts at 8:30, eats available 5-10pm. ← We’re on CN Traveller’s top 10!! !